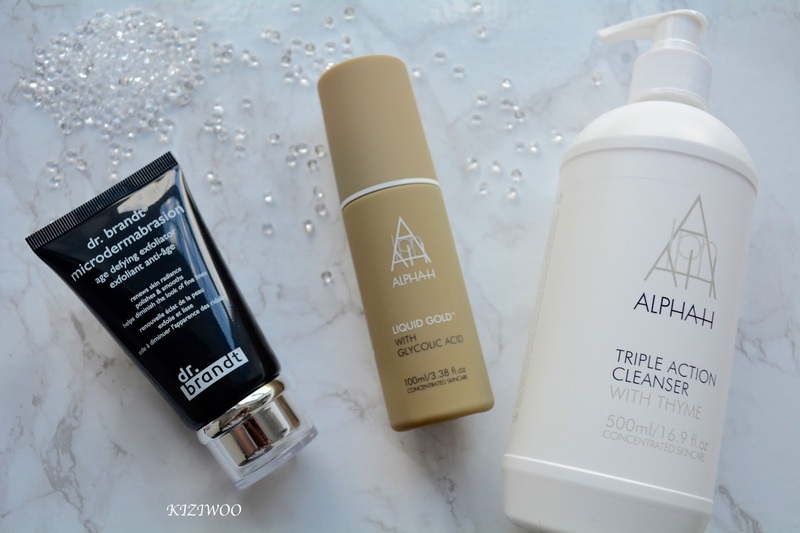 Today I'm sharing with you my top 3 favourite skincare products. Over the years I've tried and tested a wide range of products on my skin, from high-end to budget. Lotions, creams, balms, oils, you name it I've probably given it a go. On my quest to find perfect harmony for my skin I came across these 3 products and I've not turned back. 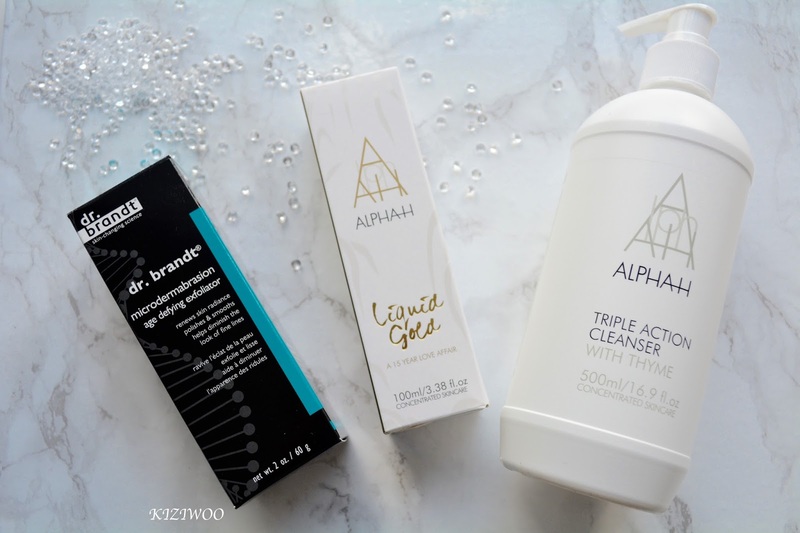 Alpha-H Triple Action Cleanser with Thyme - Oh how I wish I'd found this cleanser all those years ago! Triple Action Cleanser is a gel style lotion that works in three ways. It deep cleanses excess oils and impurities, removes every trace of makeup whilst balancing, cooling and soothing the skin with a blend of Aloe Vera and Cucumber. Enriched with Thyme, Triple Action Cleanser offers powerful antibacterial benefits and helps to minimise excess oil and reduce breakouts. It's ideal for those with normal, oily or combination skin types. Eliminating the need for a toner, Triple Action Cleanser also firms, tones and hydrates the skin, leaving the complexion looking smooth, clear and radiant with a beautifully refreshed sensation. I find it super easy to use, just apply directly to dry skin then remove with a damp washcloth or muslin, it couldn't be simpler. I always buy the 'super size' 500ml pump bottle from QVC which costs £37.50 plus P+P. To give you an idea of how long this lasts, I've found I buy a new bottle every 3 months. Beauty Bay does sell the 200ml bottle which is £25. Alpha-H Liquid Gold - I read so many reviews on Liquid Gold I just had to order it when buying my Alpha-H cleanser, I thought I'd 'try it out to see what all the fuss was about' and I've not looked back......I'm hooked! Liquid Gold is a powerful resurfacing and firming treatment that works by diminishing wrinkles, pigmentation and sun damage. The 'multi-action' formula is enriched with Licorice, Silk Proteins and the magic ingredient - Glycolic Acid. It works by jump starting the skins metabolism, tightening pores and leaving the skin looking brighter and clearer. To use, apply Liquid Gold using a cotton pad to cleansed skin, face and decolletage in sweeping upwards motions. I find (which is stated in the directions) there is a slight tingling sensation after application, however this does die down quite quickly. I use this twice a week but it can be used upto four times a week if you wish. I'm really happy with the results I've seen to date and will continue to use the Liquid Gold. You can find this on Beauty Bay or QVC for £33.50 - £46.95 depending on the size bottle you buy. 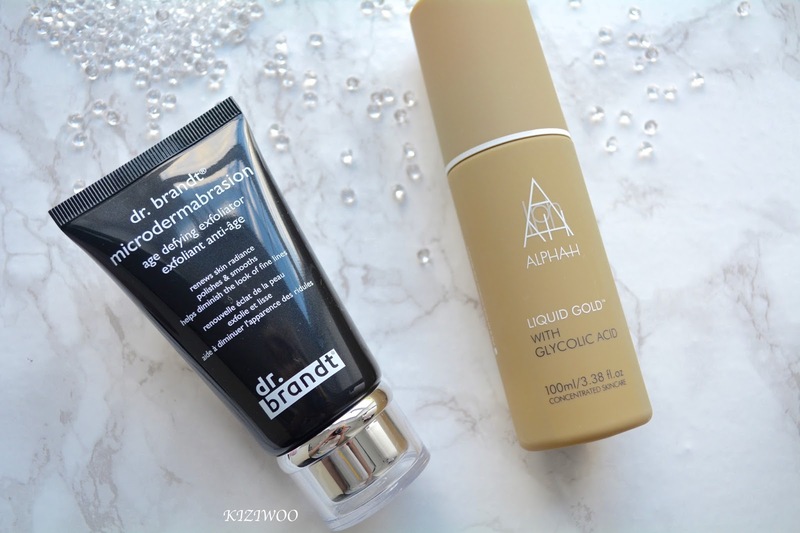 Dr.Brandt Microdermabrasion Age Defying Exfoliator - My first experience of this exfoliator was when I tried a mini size I bought on Beauty Bay. I was impressed from the word 'go' and have not looked back. The formula is perfect for removing dead skin cells, leaving skin looking refreshed and radiant. It contains aluminum oxide crystals, lactic acid and soothing botanicals which I have to say you really do feel the benefits of them. I use this once or twice a week as part of my cleansing routine, I love how my skin feels afterwards. The tube is 2 oz / 60g which doesn't seem alot for the £60 price tag however this will last you months and months; you only need a pea size amount per application! I've heard a lot about these brands but I haven't actually tried 'em yet myself.